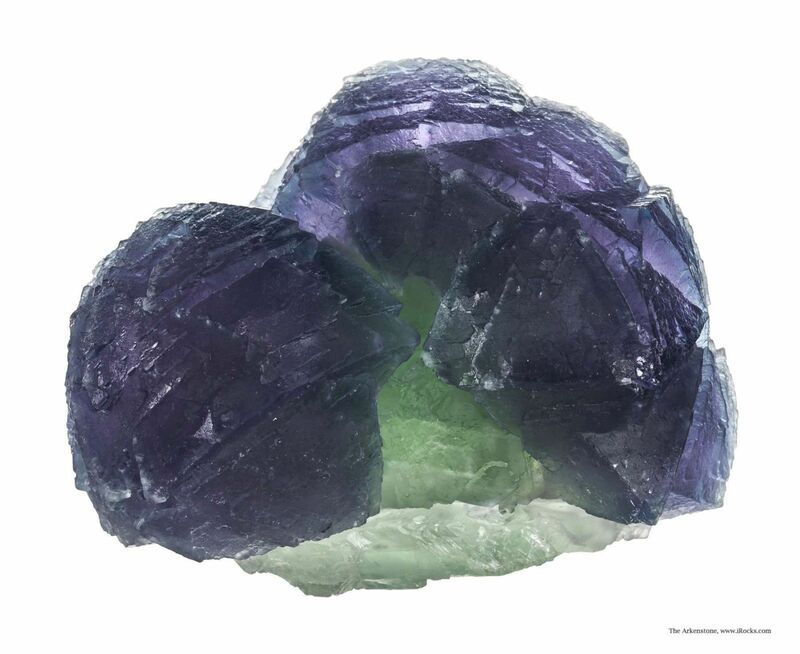 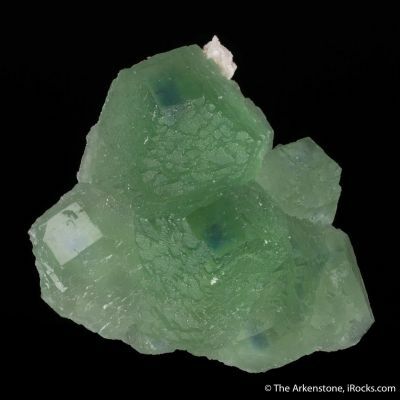 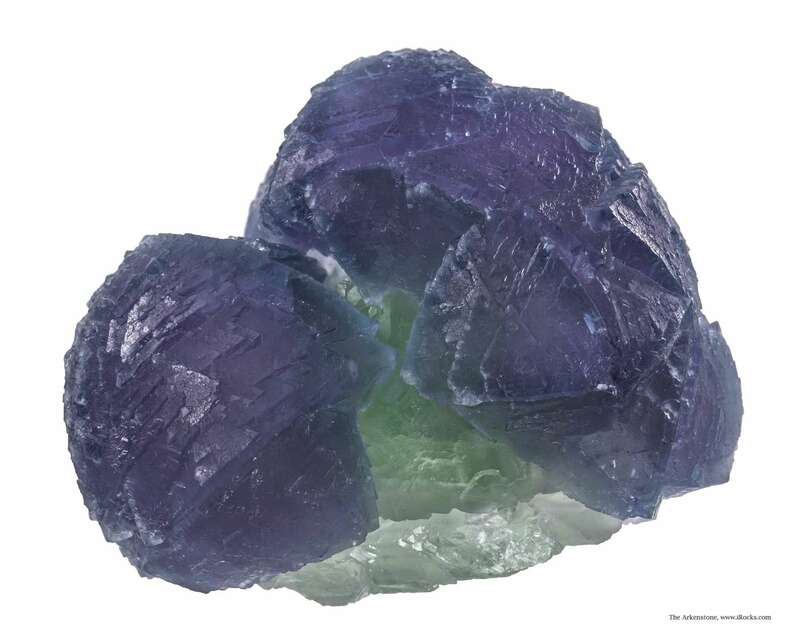 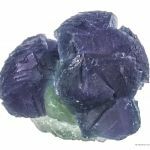 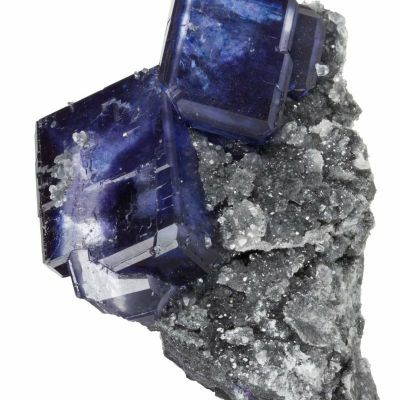 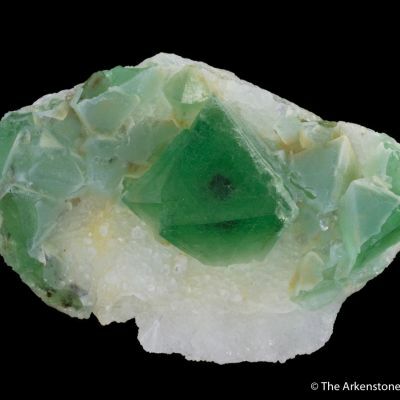 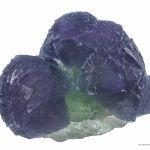 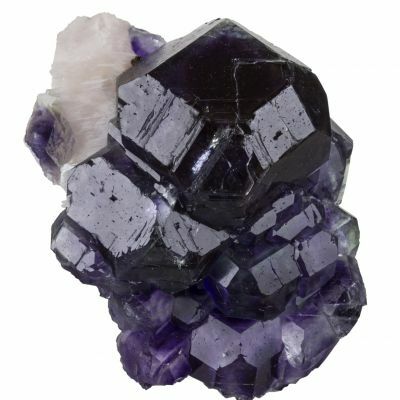 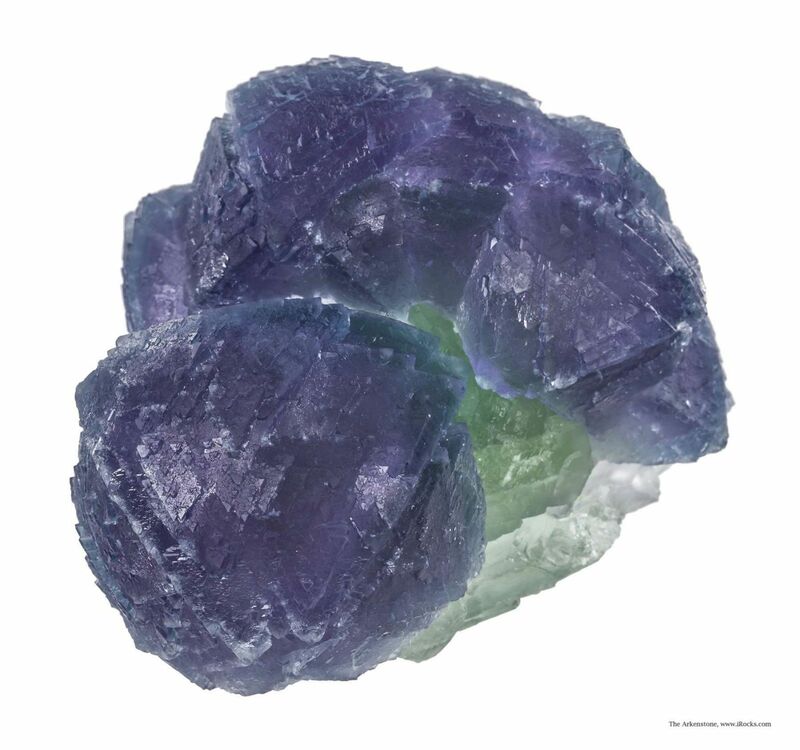 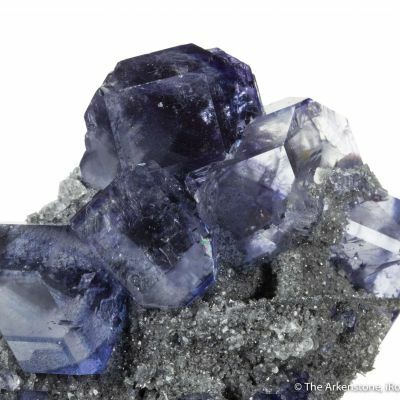 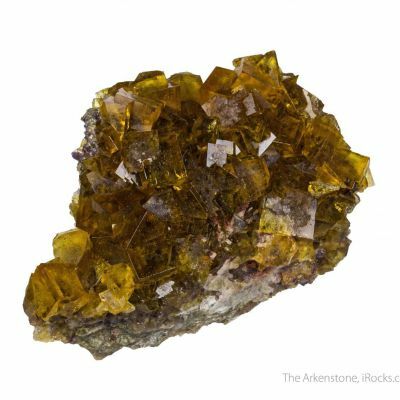 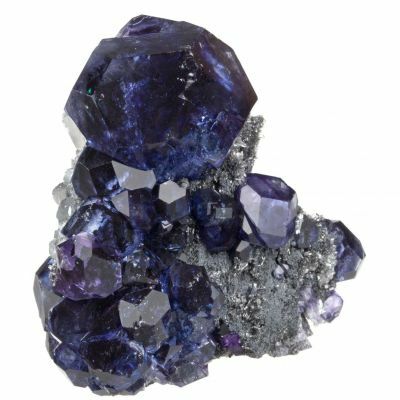 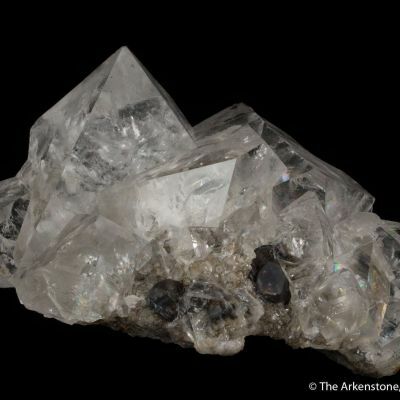 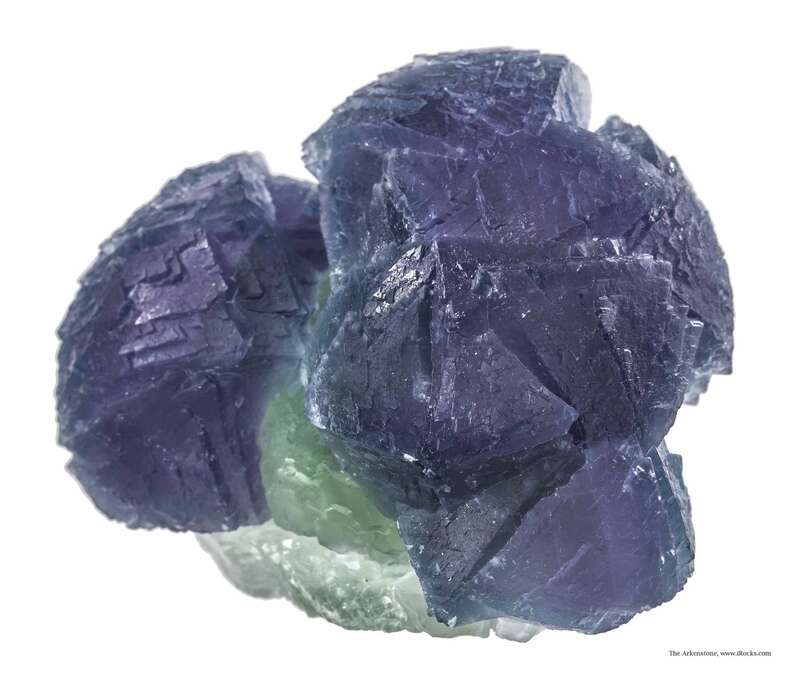 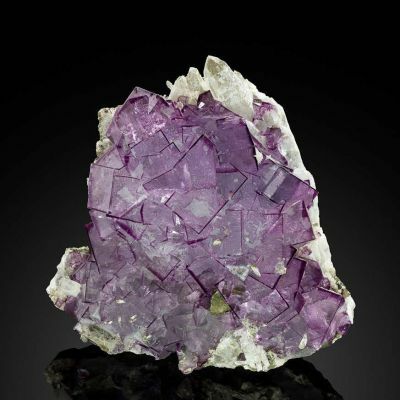 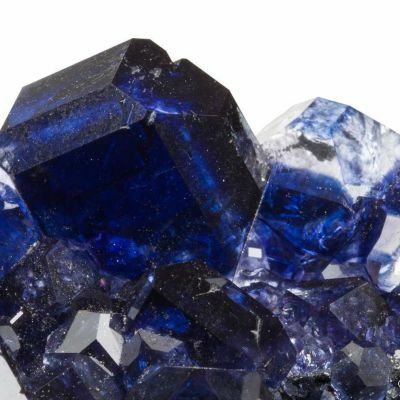 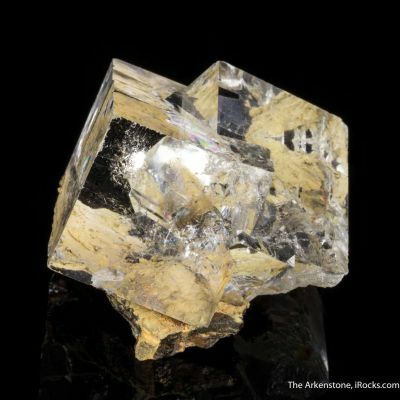 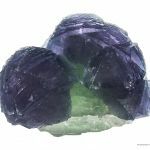 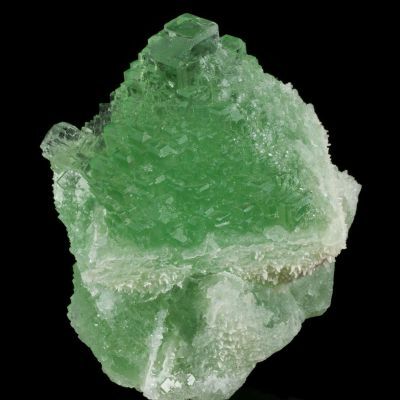 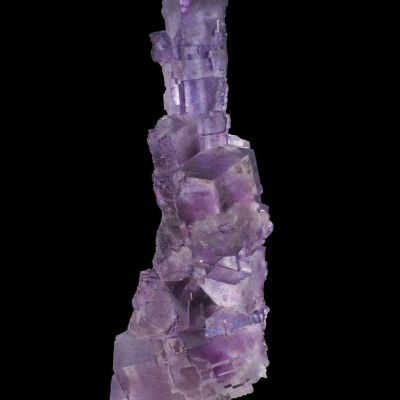 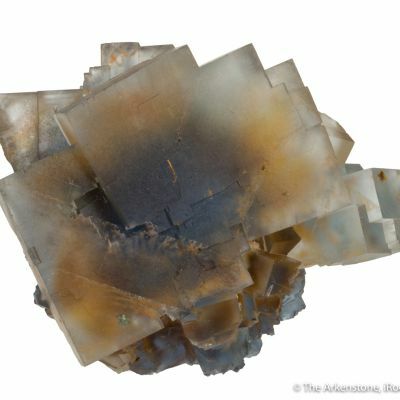 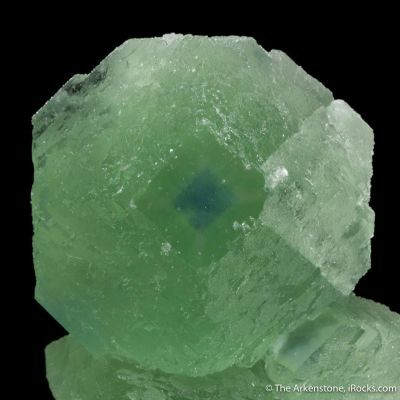 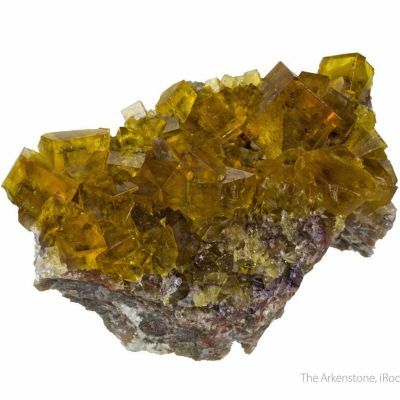 Graceful, curving purple fluorites to 4 cm on edge and to 5 cm across "gently" drape over the top of a robust, deep green, 5-cm-across "ball" of crystallized green fluorites (which are heavily stepped and modified cuboctohedra) on this special, complete-all-around specimen. 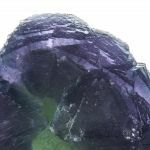 It is one of my favorites of this lot becuse from any angle you view it, it seems to curve all over and into itself like a topology puzzle. 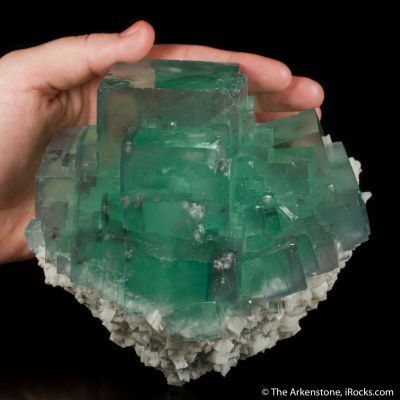 I think it looks more like a sculpture, and the contrasts of color and symmetry are just mesmerizing. 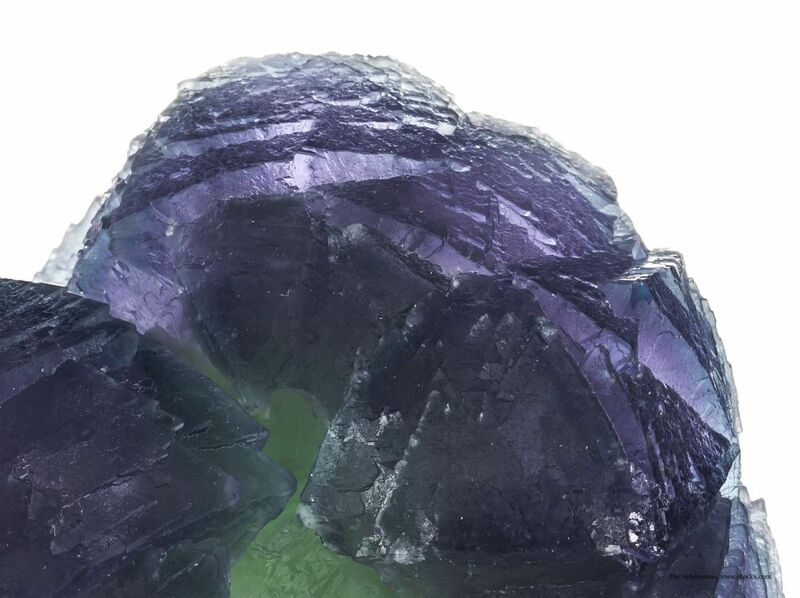 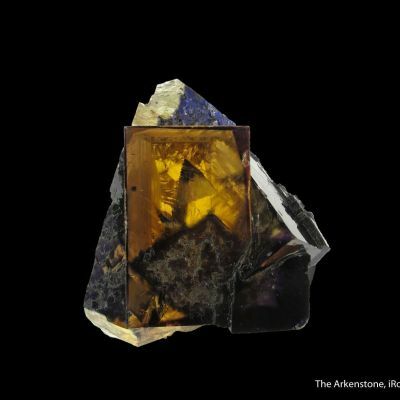 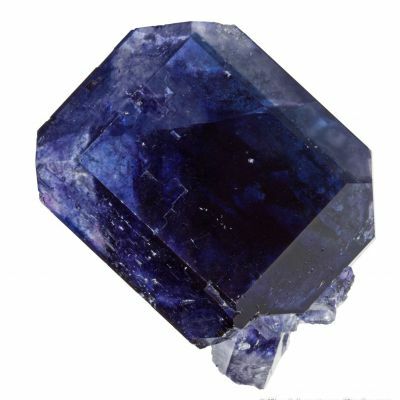 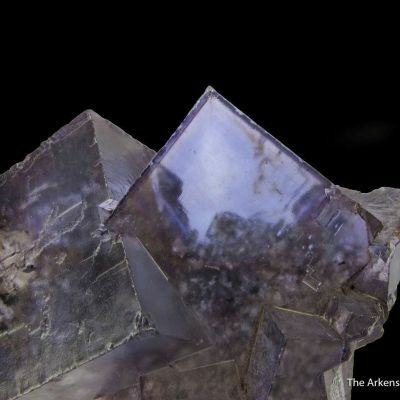 This lighter hued fluorite features subtle internal color zoning of blue/purple depending on the light, and would be from the second pocket, of late summer in 2013, which I chased through several cities in China to obtain.